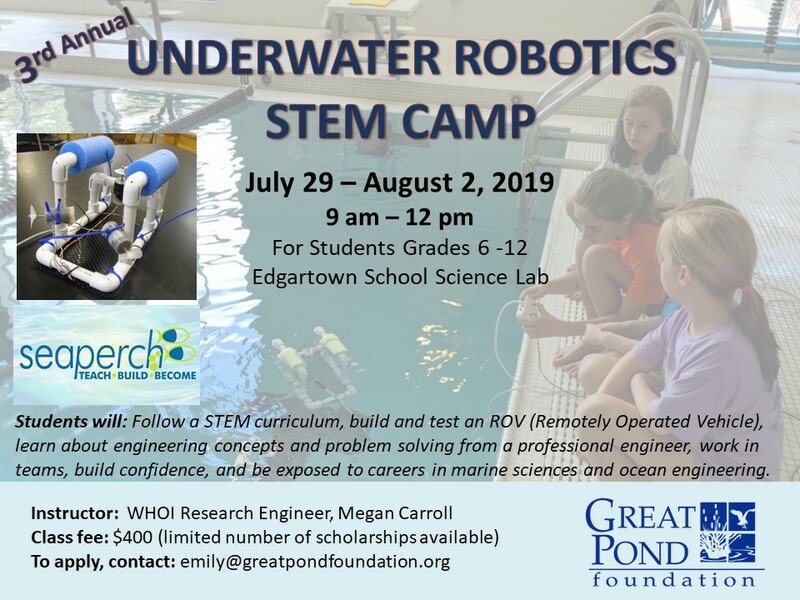 GPF is hosting its 3rd annual Summer STEM Camp from July 29th – August 2nd 2019 at the Edgartown School. Do you know any students who want to learn about careers in engineering and marine science? This class is for students entering 6th – 12th grade. Students will work in teams to build underwater robots with WHOI engineer Megan Carroll. This class fills up quickly, so please email for more details or to reserve your spot.